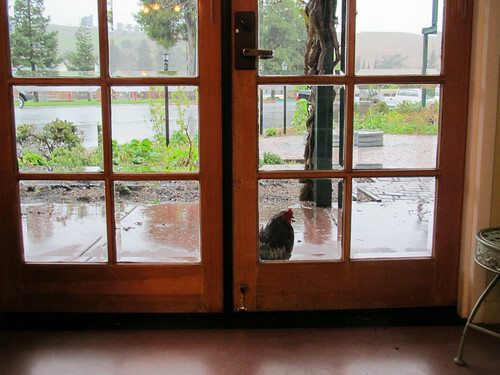 Rainy day today, and a little rooster tried seeking shelter in the Schipper Design office. 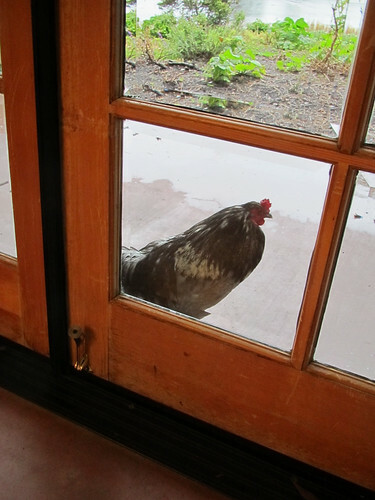 I think this is the same rooster who has a tendency to also stand by the back door (right by my desk) and just crow and stare in through the window. What a weirdo. He also kept pooping! Gotta watch where you step when you walk out the door!